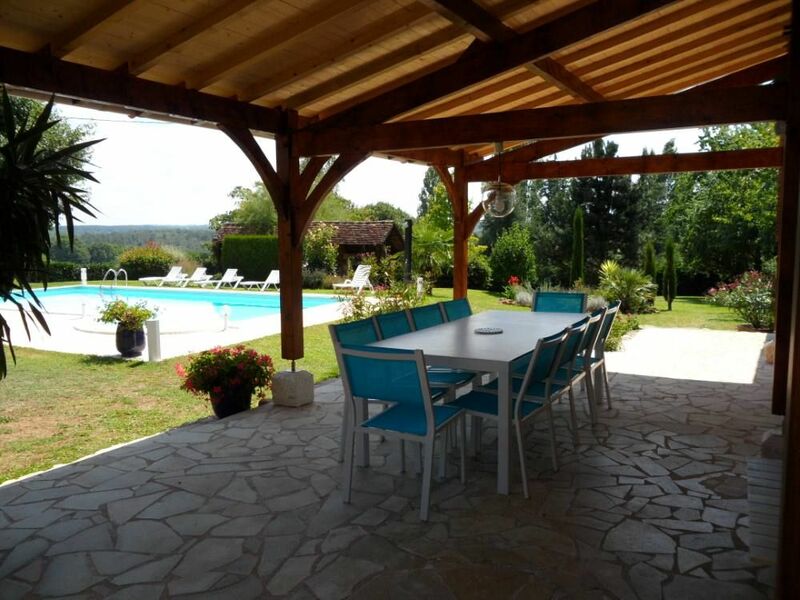 (Text automatically translated) Mansion of 180m2 located near the Dordogne above a small village, 20km from Périgueux and 20 km from Les Eyzies. Very quiet, enclosed park of 2 hectares, swimming pool 11X5, South West / East exposure. Very comfortable with warm decor, with its large terrace and beautiful awning for your meals. Capital Perigueux Perigord classified "City of Art and History", its Gallo-Roman remains, cathedral St FRONT, its museums, its old town, its gourmet restaurants. 20-45 kms: Visit the prehistoric sites such as the Cave of Lascaux, the ROQUE ST CHRISTOPHE, the EYZIES OF TAYAC and museum. The most beautiful villages of France (LA ROQUE BEYNAC-ST KITTS DOMME and exceptional panorama) CADOUIN abbey and cloister, its houses, castles etc .... Finally do not forget Sarlat "architectural jewel of the Dordogne" highest density of historical and listed monuments.